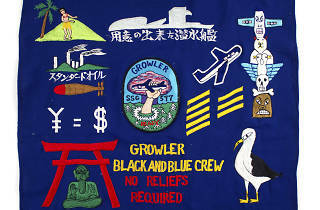 "A View From the Deep: The Submarine Growler & The Cold War"
Courtesy Intrepid Sea, Air & Space Museum Growler patrol flag, 1962–1963 Collection of the Intrepid Sea, Air & Space Museum. Gift of Duane Heatwole. History buffs of all ages can experience the fascinating past of the Growler, the only nuclear missile-launching submarine open to the public, without climbing the vessel's steep stairs or walking through its narrow passageways with this free new exhibit. 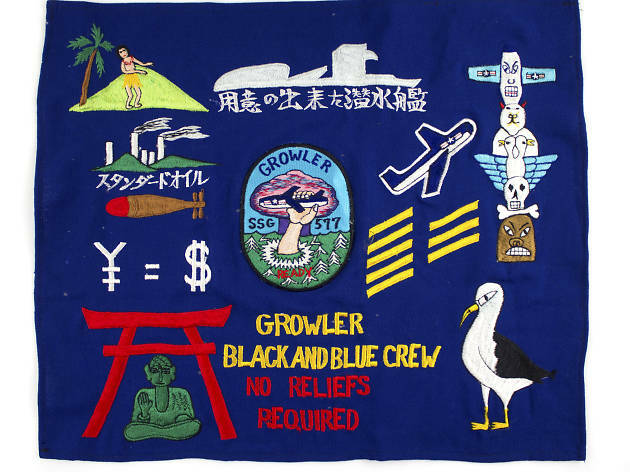 Learn all about the Growler's place in Cold War history and about the naval officers that operated the complicated, state-of-the-art sub. All ages.